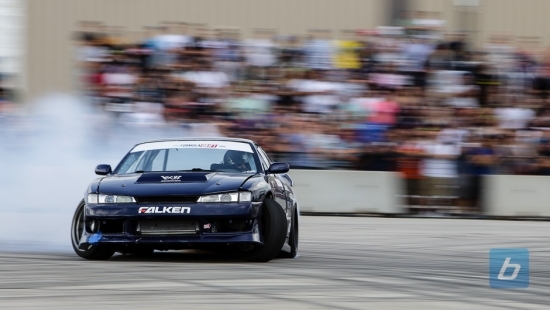 As part of the Driven 2015 tour in Winnipeg, Formula Drift Canada came out to put on a spectacular drift demo for all of those in attendance. Ben Woo, VP of Formula Drift Canada put on a great demonstration of the sport by going over the basic rules, explained how drifting is judged and went over the main techniques that drivers use to drift their vehicles. Drivers put on solo, tandem as well as triple drifts burying the fans and the venue under a thick wall of tire smoke. Based on how loud the crowd got at some points, it is safe to say they loved it. We captured a few shots of the event which you can check out in the gallery! Driven 2015 Winnipeg Feat. Formula D Canada Is A Wrap!